Local buses travel within Boston and communities in the immediate area. Inner Express Buses travel in nearby suburbs and make stops in downtown Boston. Outer Express Buses travel in outer suburbs and make stops in downtown Boston. Add value or order monthly bus passes online. 1-Day and 7-day passes purchased on CharlieTickets are valid from the date and time of purchase. 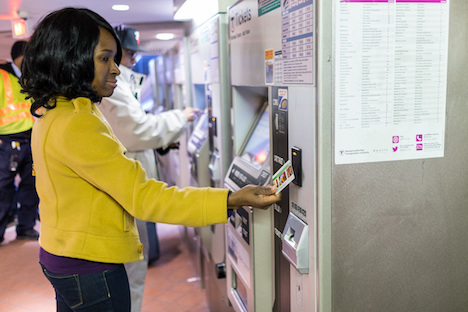 Those purchased on CharlieCards are valid from the first tap at a fare box or fare gate. The right way to pay for you depends on how often you ride the T.
You can also pay in cash or add cash value to a CharlieCard or CharlieTicket at onboard fare boxes. Most machines accept cash and major credit/debit cards. Some machines only accept credit/debit cards and are clearly marked to indicate they don’t accept cash. You can add up to $20 in cash value to a CharlieCard or CharlieTicket at onboard fare boxes. Simply tap your CharlieCard on the fare box target to pay. With the orange arrow facing up and away from you, insert your ticket into the fare box. Your ticket will be returned after the machine reads it. 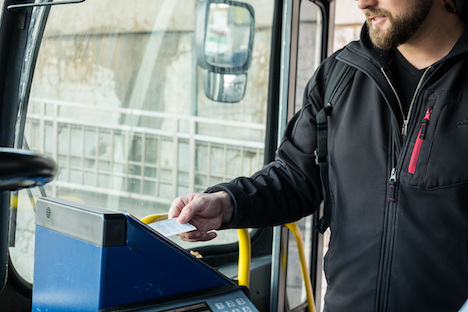 On all MBTA buses, you can add cash value to your CharlieCard or CharlieTicket with coins or bills, up to $20. You cannot buy or reload 1-day, 7-day, or monthly passes at onboard fare boxes. 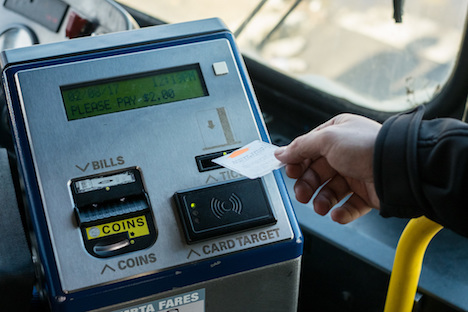 Tap your CharlieCard on the fare box target, or insert your CharlieTicket into the machine with the orange arrow facing up and away from you. 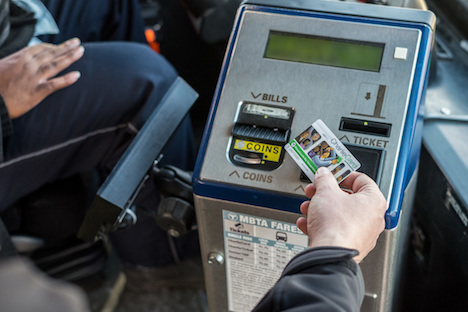 On all MBTA buses, you can pay your fare in cash with coins or bills, up to $20. Tip! If you pay more than $0.25 over the required one-way fare, the change will be loaded onto a CharlieTicket and dispensed from the fare box. You can use this remaining amount to pay your fare on another mode of transit, or reload it at a fare box or fare vending machine.